Look, I won’t sugarcoat it. Getting your dessert fix here at Wes can be tough. It’s not exactly the sweetest thing to have to salvage whatever is left at Usdan at the end of the night. And if you’re schlepping it to Weshop for a pint of ice cream every night, you’re going to need a sugar daddy to cover those costs. So what can we do if the only cookies left at Summies are oatmeal raisin (which, we all have to admit, are the grandparent’s breakfast of cookies)? I have the solution. Think of it as instant gratification for everyone out there with a sweet tooth. Dangerous? Maybe. But absolutely worth it. 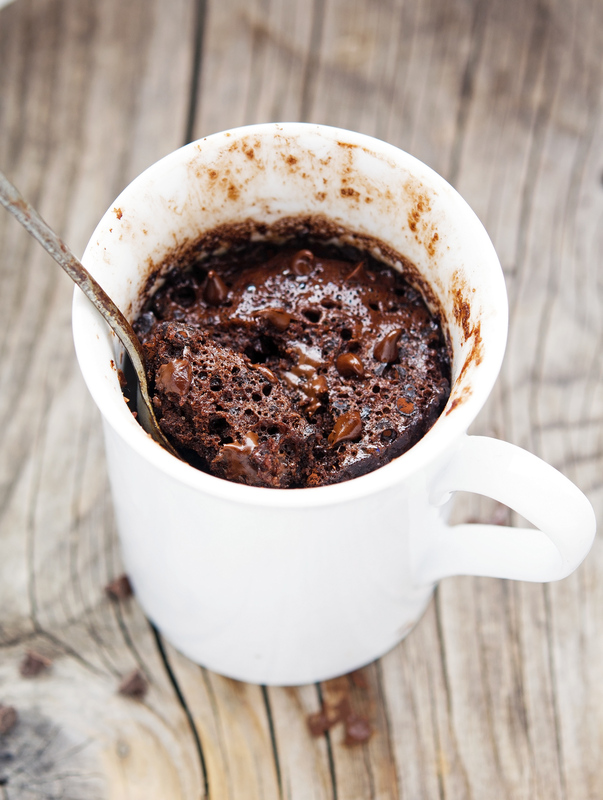 The brownie in a mug is a simple dish, requiring little time to prep and even less to cook. Gone are the days of crawling on the floor to get the last red velvet cupcake that you dropped on the loud side floor; gone, too, are those lonely nights spent in bed binge-watching “Friends” for the fourth straight time without anything warm and buttery to hold in your hands. We have all definitely had both of those experiences. This is important: you have to use semi-sweet chocolate chips. Not for any particular reason pertaining to the recipe, but just because they are the superior type of chocolate chip. Plus they melt better, so when you pop this bad boy in the microwave you’ll get little pockets of melted semi-sweet chocolate chips. Isn’t that delightful? That’s it. That’s literally the entire recipe right there. Every single one of those ingredients can be found at Weshop or really anywhere. Your job now is to put everything together in a mug and mix it and toss it in a microwave. For ease of cleaning, I suggest measuring out the solids first and then the liquids. That may seem like common sense, but you start to lose common sense around three in the morning when you’re making your fourth brownie in a mug and the chocolate-induced sweat is starting to drip into your eyes. Again, that is a situation that all of you will be in someday, so I’m just trying to give you fair warning. Once all of the ingredients are together, mix until everything is combined. Be sure to scrape the flour at the bottom off the edges. The last thing you want is a final spoonful of just flour. That’s super gross and will make your mouth really dry. Never a good feeling. The combined mixture should be in that weird cake-batter-like half-solid half-liquid state. I think it’s called “plasma” for you science people out there. Yes, you want your brownie to be plasma. Once you have a plasma brownie, put it in the microwave on high (to be clear, high is just the default) for 60 seconds. The hope is that you pull it out of the microwave, and it’s still a little gooey at the top but more textured from there down. The top will set if you leave it for a minute or so, though of course, you won’t. You know the coolest part about this recipe? It’s actually good. Honestly. Go back to your room and try it. Top it with some whipped cream or ice cream if you’re feeling it. Sometimes I like to get fancy and sprinkle some extra chocolate chips on top of the whipped cream. It really ties the whole dish together. There you have it. An easy to make, solidly portioned dessert for one that you can make in the comfort and solitude of your dorm room. If you’re social, make them for your friends! If not, use it as a justification to stay inside! Brownie in a mug is a universal dish that can tie all of us together. As long as you can ignore the fact that you’re mostly eating a quarter cup of sugar, you’ll come out the other side with a satisfied sweet tooth and a smile on your face.